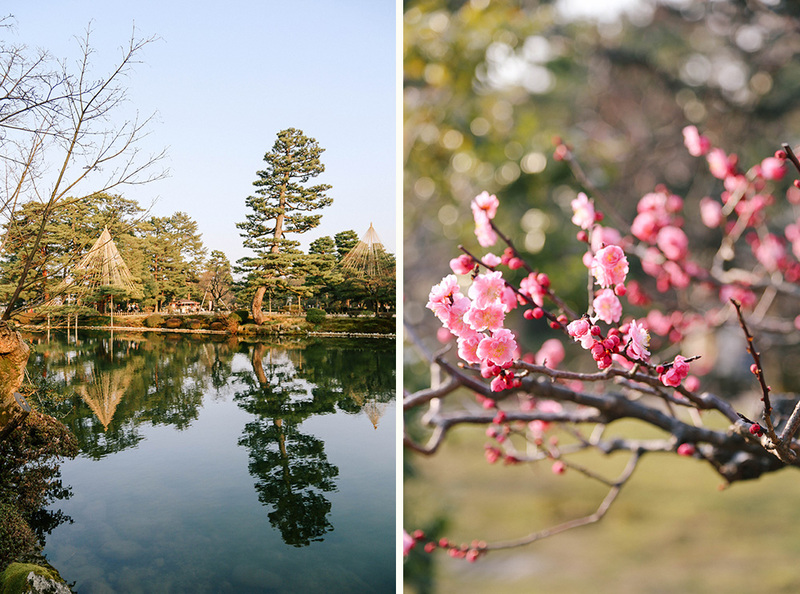 We just spent a few nights away exploring Kanazawa in Ishikawa prefecture. 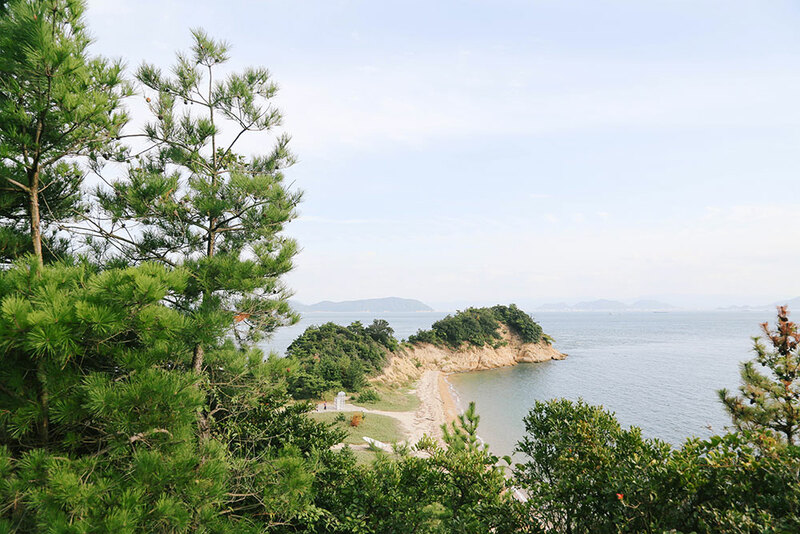 Located on the northern side of Central Honshu, the city is home to many historical neighborhoods and is known for its traditional crafts and folk art. We departed early via the Kagayaki Shinkansen on the new Hokuriku line. Opened last year as an extension of the existing line to Nagano, it took us only 2.5 hours to get there from Tokyo. Arriving at Kanazawa station in time for lunch, we walked to Curio Espresso an American cafe nearby. 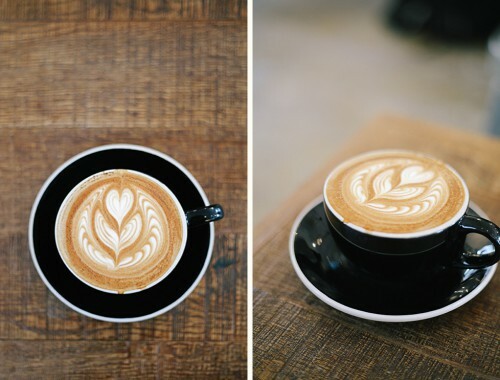 The owners Sol and Yuko were friendly and accommodating hosts, who have created a bustling community space. 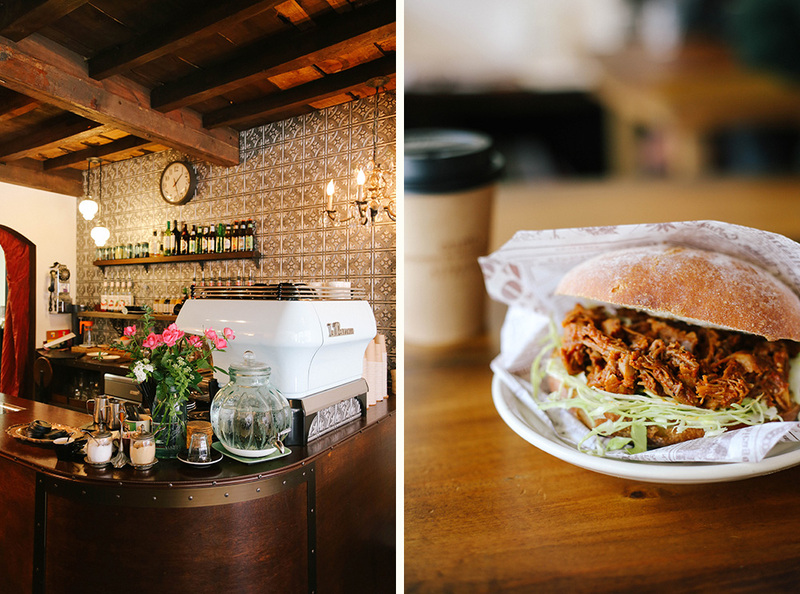 We enjoyed the pulled pork sandwiches and wonderful lattes, along with a chat and an invite to an evening event. 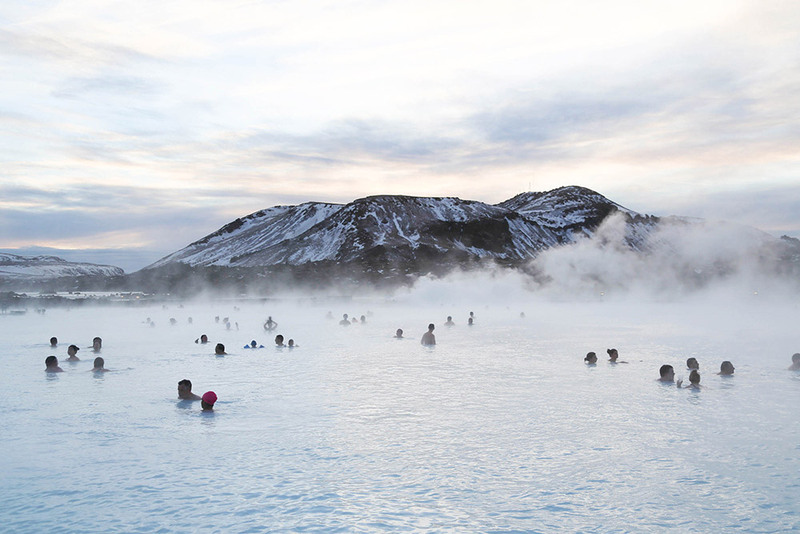 We sadly couldn’t make it, but if we’re ever back – we’ll be stopping in again! 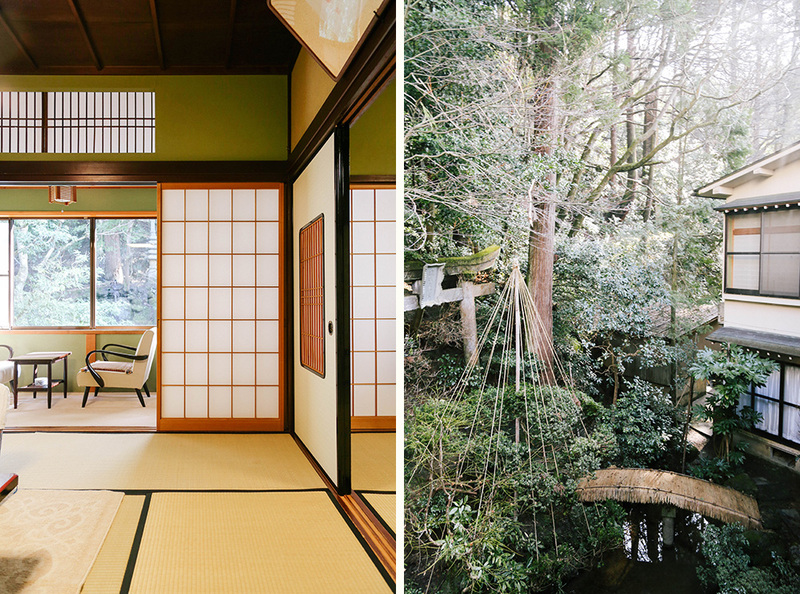 There are many beautiful ryokans in Kanazawa, traditional inns where you can stay in tatami style rooms, spending your days wearing your yukata and visiting the onsen. 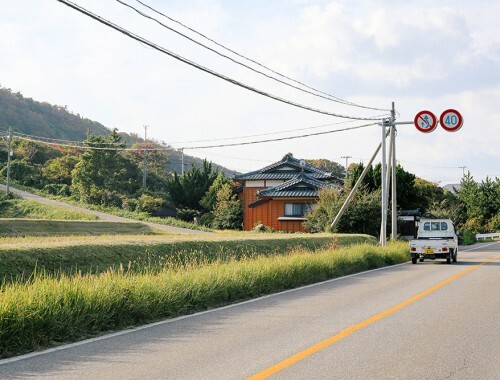 We travelled outside of town for our first evening to stay at Motoyu Ishiya where we felt spoilt and relaxed from the moment we arrived, sipping green tea in an incense filled room while we checked in. Surrounded by beautiful gardens and mountains, we had views overlooking a forest and waterfall which we explored in the afternoon. After a bath, we had kaiseki for dinner, a multi-course meal with a focus on local ingredients and beautiful presentation. Our dinner was both elaborate and overwhelming, served in our own private dining room. While trying to decipher all the ingredients during our eleven courses, we also sampled a tasting menu of sakes from local brewers. Returning to our room, we found our futons laid out for the evening. We awoke to light pouring through the rice paper screens and returned to our dining room for breakfast. 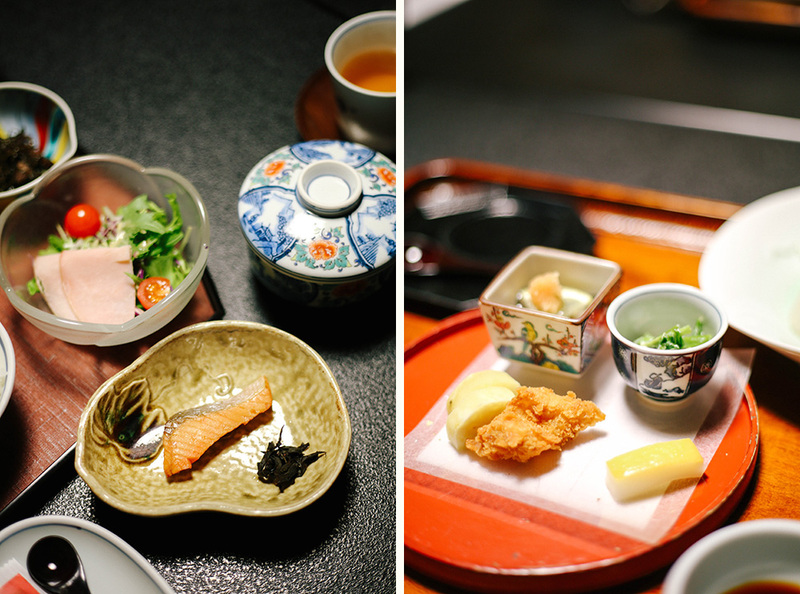 It was another multi-course affair including salmon, local vegetables, tofu, rice and more. The hospitality during our stay was incredible and we were sad to farewell our sweet hosts. 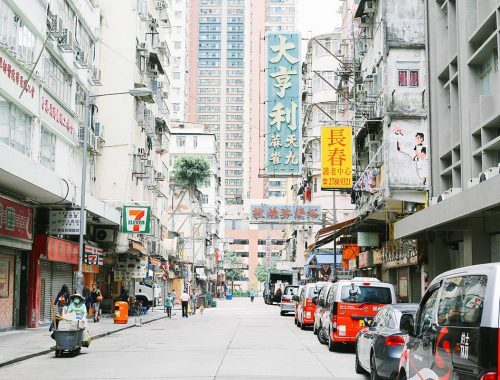 After a short bus ride, we arrived back in town, dropped our luggage at Hotel Trusty Korinbou and began exploring the city. Our first stop was the 21st Century Museum of Contemporary Art, a circular building designed by Kazuyo Sejima and Ryue Nishizawa of SANAA architects. The motivation behind our whole trip was seeing this museum and it was even more impressive that we’d imagined, similar to our experience at Naoshima. 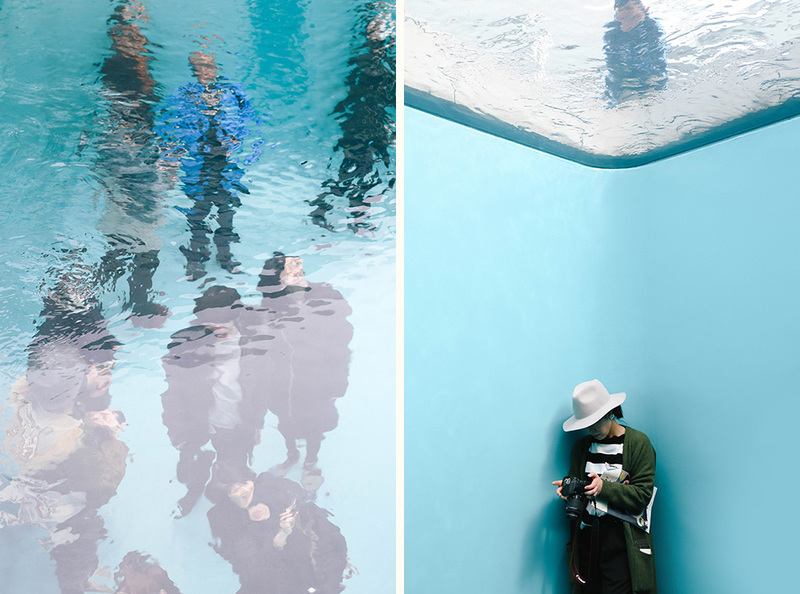 We were excited to see the famous permanent exhibit The Swimming Pool by Leandro Erlich, were you can view the shimmering water from both above and below. I loved watching people interact in the space, both children and adults alike waving at each other through the water. There were so many other highlights at the museum, too many to mention them all. The above pieces are Wood No. 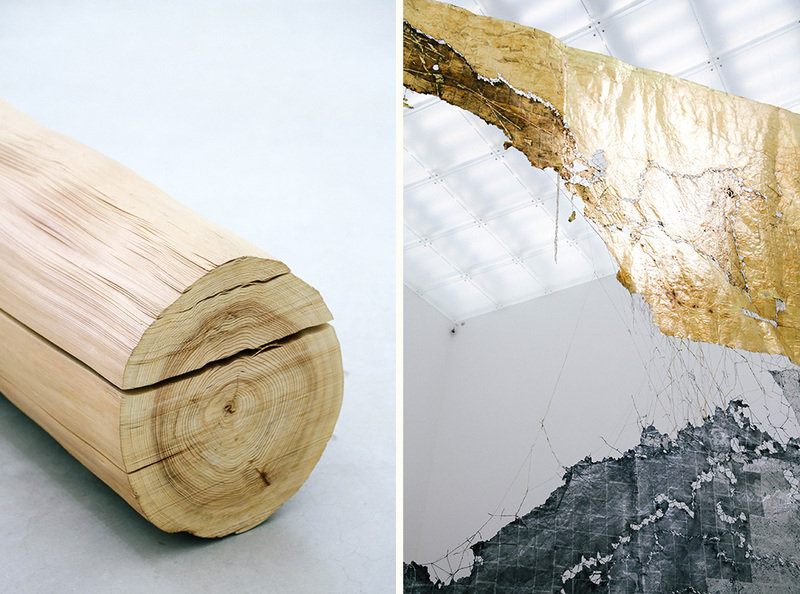 5 by Kazuo Kadonaga (a sliced and reconstructed log) and a delicate piece by Natsunosuke Mise (created from fragments of washi paper). Another standout was the Yuichi Inoue exhibition of his abstract calligraphic works, an impressive exhibit of scale and expression. It was especially thrilling to find we could recognize some of the kanji characters ourselves. The DT Suzuki Museum was created in honor of the philosopher, often considered a significant contributor to spreading Zen Buddhism in the West. The museum includes three spaces for exhibitions, learning and contemplation and was designed by Yoshio Taniguchi the same architect responsible for MoMA in New York. 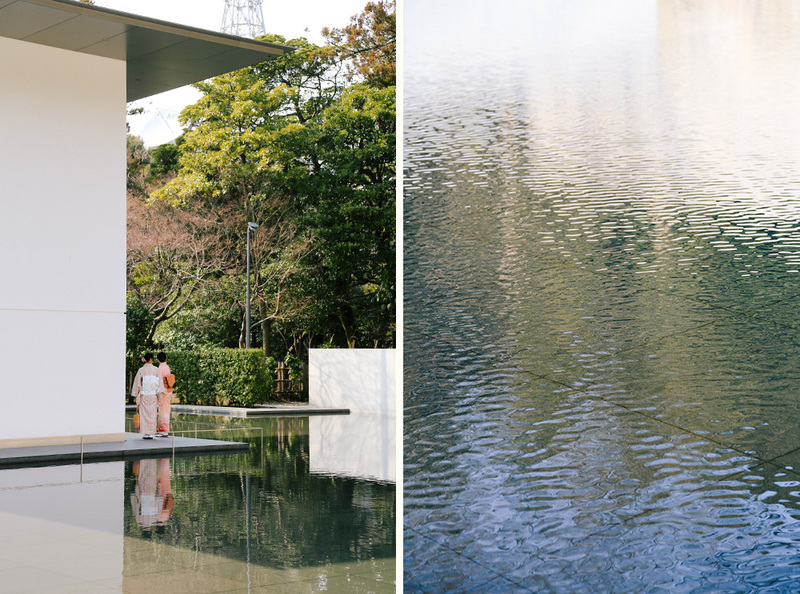 The mirrored water garden is tranquil and was a mesmerizing space for reflection. 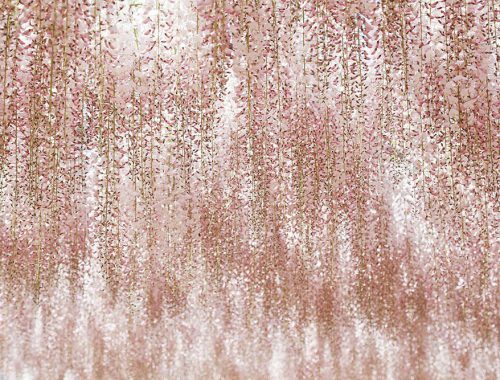 Considered one of Japan’s three most beautiful landscape gardens, Kenrouken is filled with ponds, bridges, trees, blossoms and teahouses. 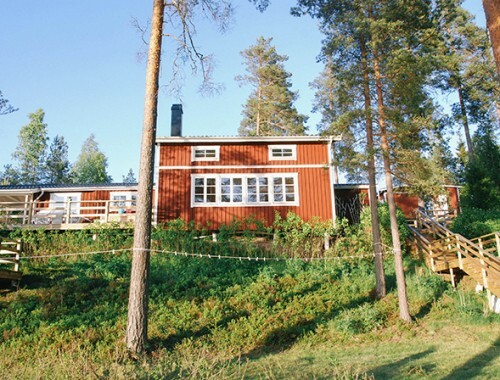 Every viewpoint is considered and immaculately designed, making every angle worthy of a photo. 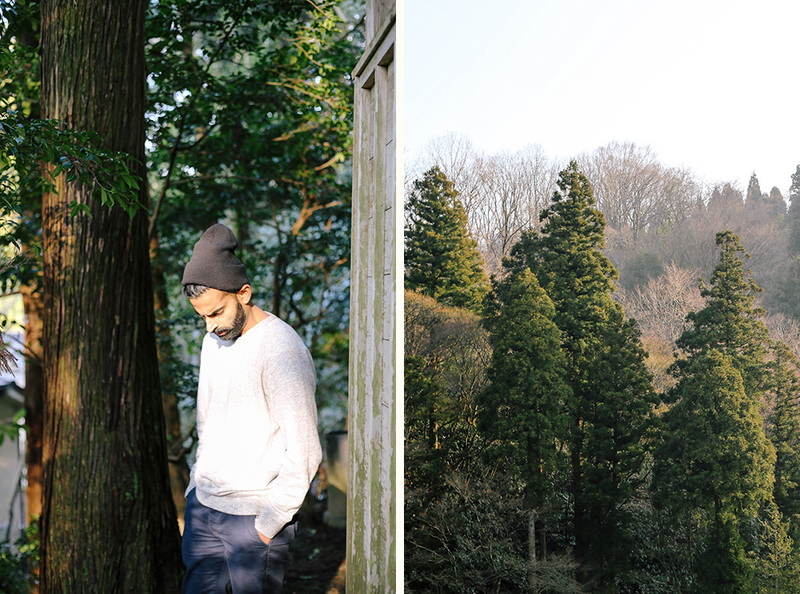 We decided it was the most exquisite park we’d ever seen and spent hours wandering, right up until the golden hour. 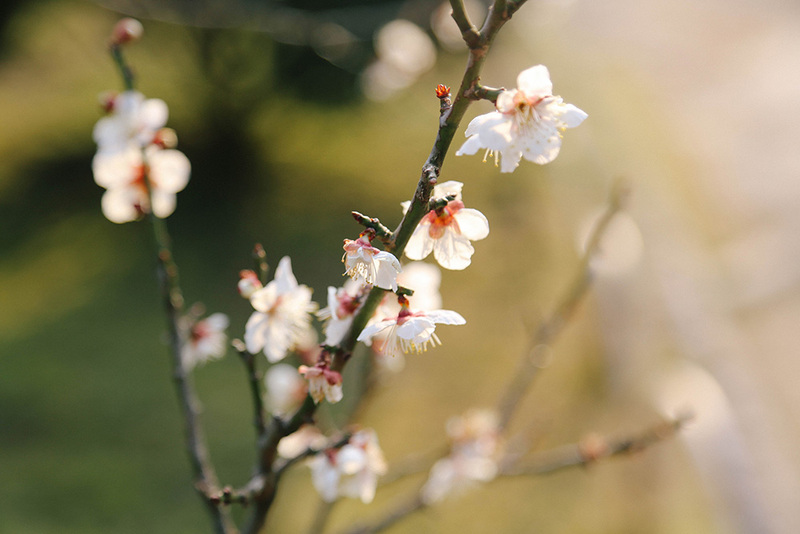 The ume blossoms were in bloom and we were surprised by their beautiful perfume lingering across the park. 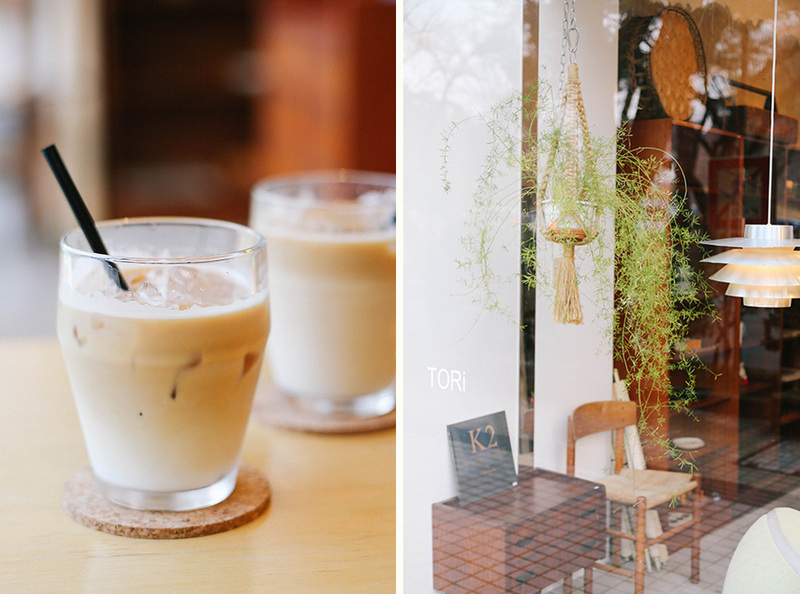 Our next discovery was Tori Coffee, a concept store and cafe offering drip coffee amongst mid-century Scandinavian furniture, vintage books, handmade ceramics and other handcrafts. 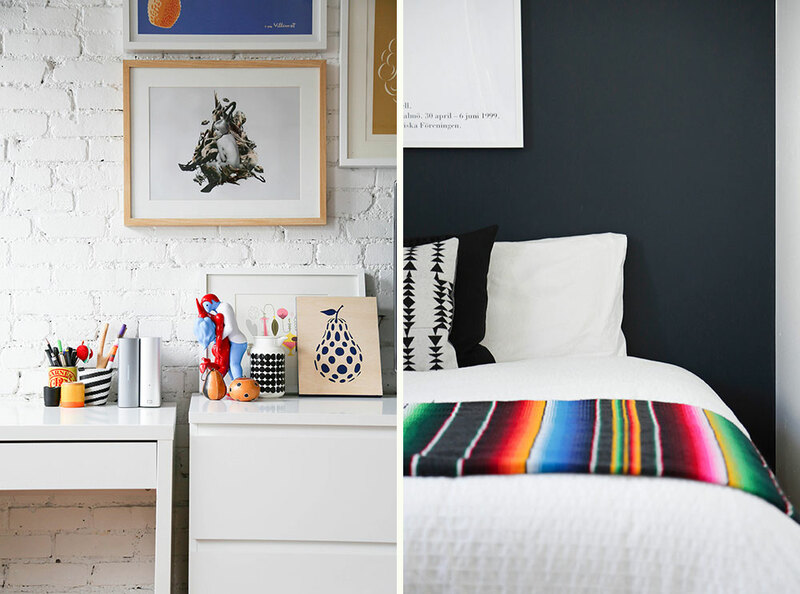 We loved the warm interior with Danish lighting and Echo Park pottery. The iced lattes were creamy, service was friendly and we were given lots of recommendations; leaving us wishing we had more time in the city! The next morning, we wandered down to see the local market Omicho. 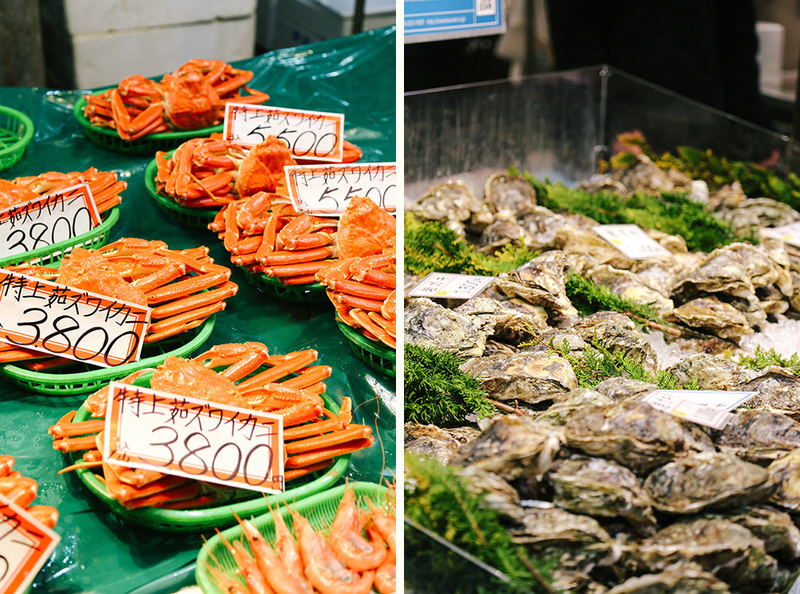 The crowded markets are home to over 170 stalls, offering all kinds of local specialties including fresh seafood from the Sea of Japan. The area is famous for its crab and we saw them everywhere, their bright orange color standing out. Many visitors were joining the casual tables for a breakfast of fresh oysters and sea urchins with beer. 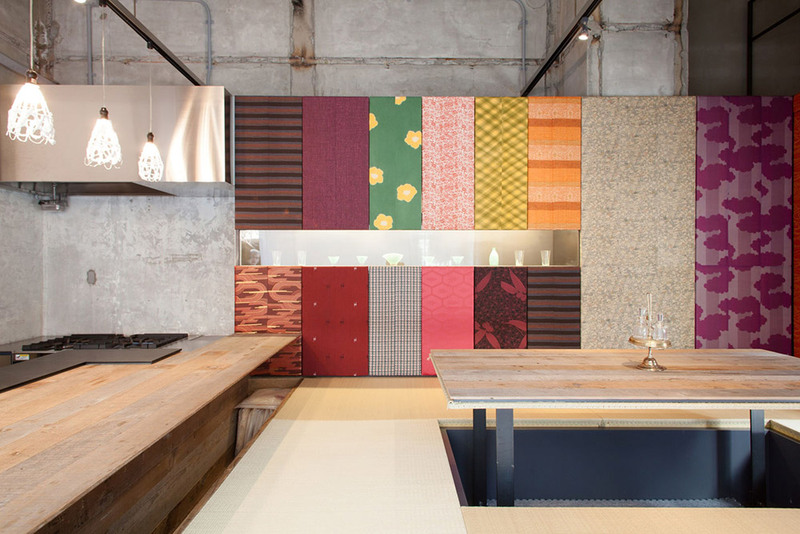 We stumbled upon Hatchi a space due to officially open later this month. The conceptual building boasts a coffee stand, restaurant, store, share kitchen and hotel, with both private and shared rooms. 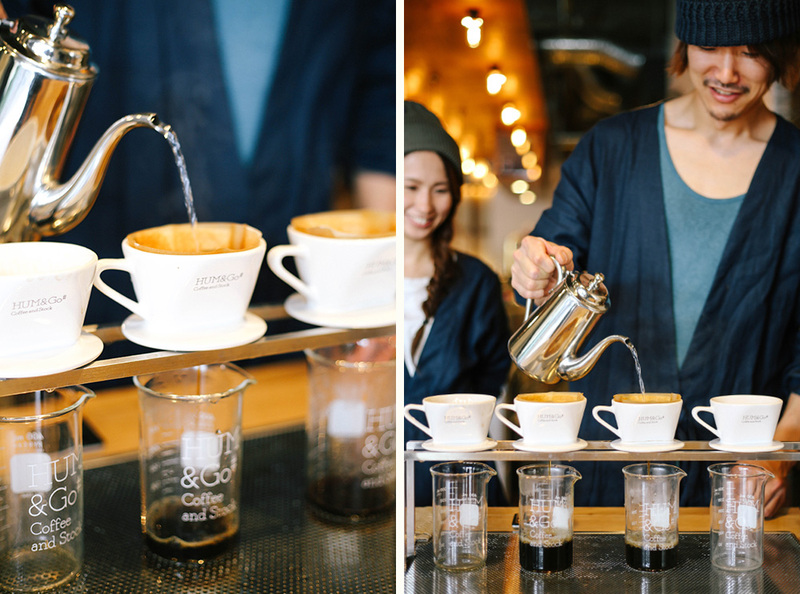 In the foyer, there’s a Hum & Go coffee stand already operating, where we sampled some strong drip coffee. The space was a hive of activity with locals building furniture and looks like it will be an amazing place to stay. 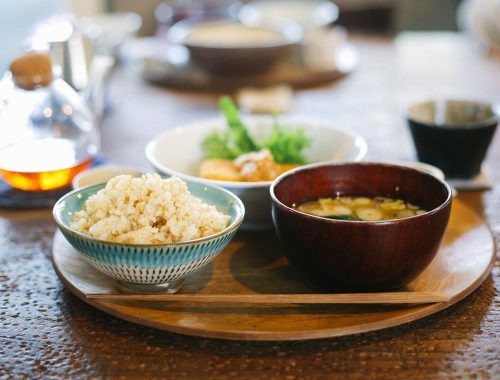 Located along the Asanogawa river, Higashi Chaya is a geisha district lined with well-preserved wooden homes and teahouses. We toured Ochya Shima, one of the few geisha houses that allows tourists inside and one of the oldest buildings in the area, dating back to 1820. Inside was atmospheric, with koto and shamisen lined up and an irori (open fire) lit indoors. 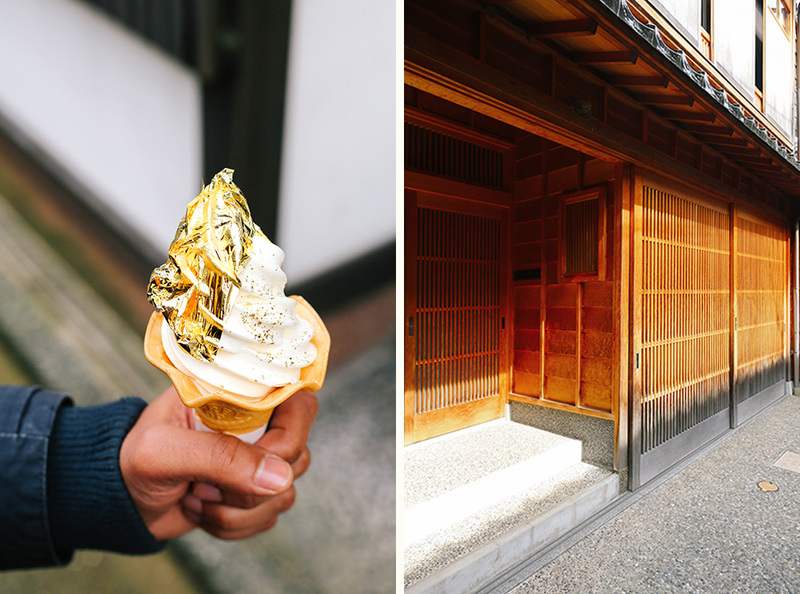 Back outside we explored stores offering the famous local gold leaf in many forms, including edible variations such as this soft serve from Hakuichi. 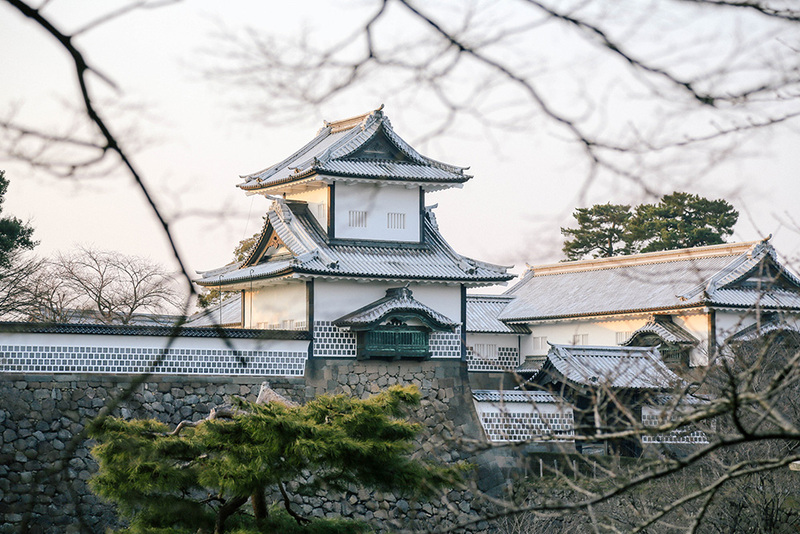 Despite burning down numerous times, Kanazawa Castle is an imposing building overlooking the city. Surrounded by sprawling grounds, most of the buildings are recent reconstructions. The Ishikawa Gate and the Sanjikken Nagaya warehouse are the only original constructions remaining. 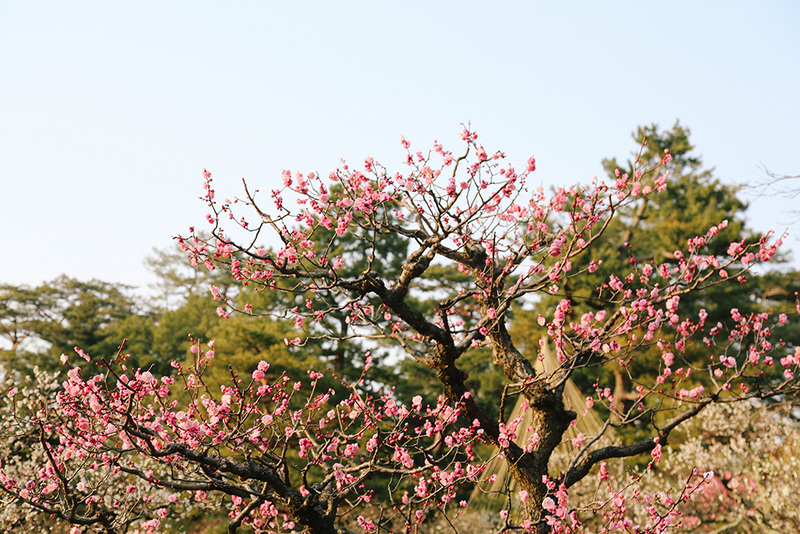 A nice place for a picnic, the views of the beautiful Gyokuseninmaru Gardens were quite pretty too. 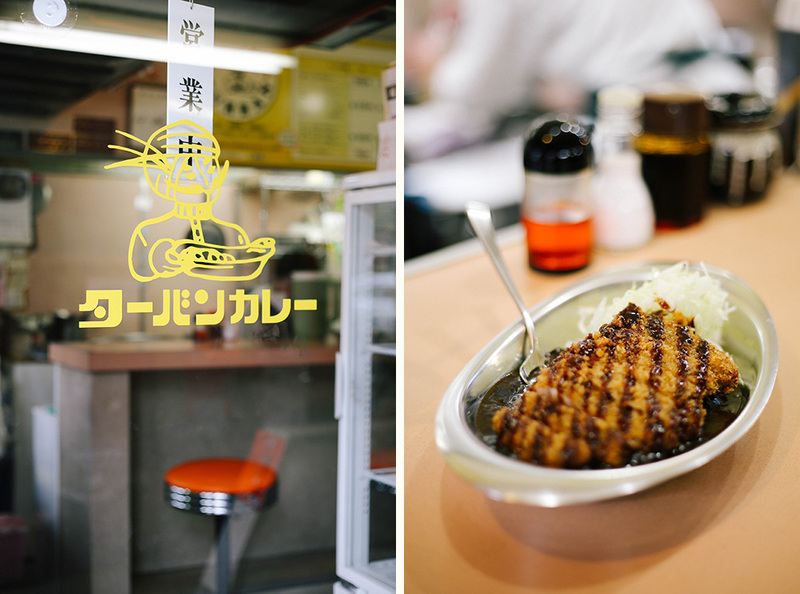 Kanazawa is famous for its thick and rich curry, which is served over rice, with cabbage and a fried pork cutlet (covered in tonkatsu sauce) on top. It was invented in the 1960’s by Yoshikazu Tanaka and went on to become world famous thanks to chains such as Go Go Curry. We had to sample this famed dish locally, so we stopped by neighborhood favorite Turban Curry. A tiny space with counter seating, three lovely ladies in aprons prepared our meal and the thick black curry was perfect! We ended our trip by selecting some omiyage before boarding our train home, opting for Kanazawa no Tsuki (金沢の月), a fluffy chiffon cake filled with custard and dusted in gold leaf. We also stocked up on the local beer Kanazawa Hyakumangoku (金沢百万石ビール) which is from Waku Waku Tezukuri and includes a pale ale, koshihikari ale and dark ale. Some nice mementos of a wonderful weekend! I never knew that you were such a fab photographer. You have handled and projected each subject very well ! Hi Ash! Fellow Tokyo blogger here. 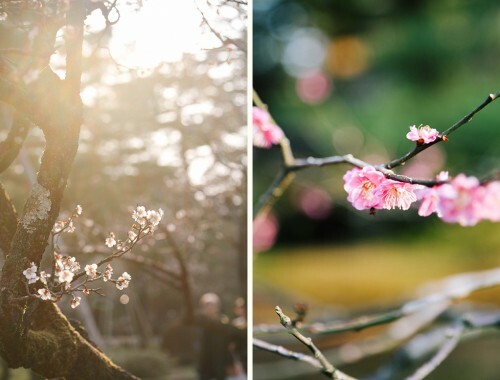 🙂 I just found your blog while searching Pinterest for Kanazawa travel tips and wanted to thank you for creating this beautiful post – so helpful! Loving your site.